Queensryche have issued a statement revealing more details about their recently-announced out-of-court settlement over rights to the band’s name, following a two-year-long legal dispute with former bandmate Goeff Tate. 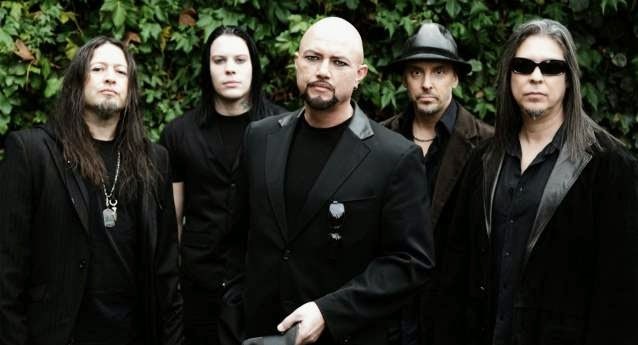 The settlement sees original Queensryche members Eddie Jackson, Scott Rockenfield and Michael Wilton (along with recent additions Todd LaTorre and Parker Lundgren) move forward with rights to the band name, while Tate keeps the exclusive rights to perform the group’s ‘Operation: Mindcrime I’ and ‘II’ in their entirety as a unique performance. “Queensrÿche recently reached a settlement in their dispute over the ownership of the Queensrÿche name and brand. Century Media is pleased to announce that Eddie Jackson, Scott Rockenfield and Michael Wilton have successfully agreed to purchase Geoff Tate’s portion of the Queensrÿche name. The band will buy out their former lead singer’s share of the Queensrÿche corporation while allowing him the ability to be the only one to perform Operation: Mindcrime and Operation: Mindcrime II in their entirety. He will no longer have use of the TriRyche logo or any other album images aside from the Mindcrime releases. He can only refer to himself as the “Original Lead Singer of Queensrÿche or “Formerly of Queensrÿche" for a period of two years and that text must be at least 50% smaller than his name in all materials. After this two year period passes, he can only refer to himself as Geoff Tate with no mention of Queensrÿche at all. Geoff Tate will be able to finish any confirmed dates billed for his Queensrÿche lineup scheduled to terminate on August 31st, 2014. As of September 1st, there will be only one Queensrÿche entity and that will consist of Eddie Jackson, Todd LaTorre, Parker Lundgren, Scott Rockenfield and Michael Wilton. This lineup will continue to perform selections from their entire musical catalog including songs from Operation: Mindcrime. The band will be able to use all TriRyche logos and previous album artwork for any purposes as needed by the corporation." “We’ve already begun the writing process for the next album and have a few songs demoed that we feel really good about,” added Wilton. “We’re taking the songs in the classic Queensrÿche direction but maybe a little more progressive and heavier at times. The thing is, you never know what you really have until it’s complete. We can’t wait for the final outcome. Writing with such a dynamic group of individuals has been nothing short of amazing." The band’s label says a new Queensryche album is tentatively scheduled for release in early summer 2015. Tate went on further to explain the “Operation Mindcrime” performance clause. Read the joint statement released April 28th by both parties announcing the settlement here.